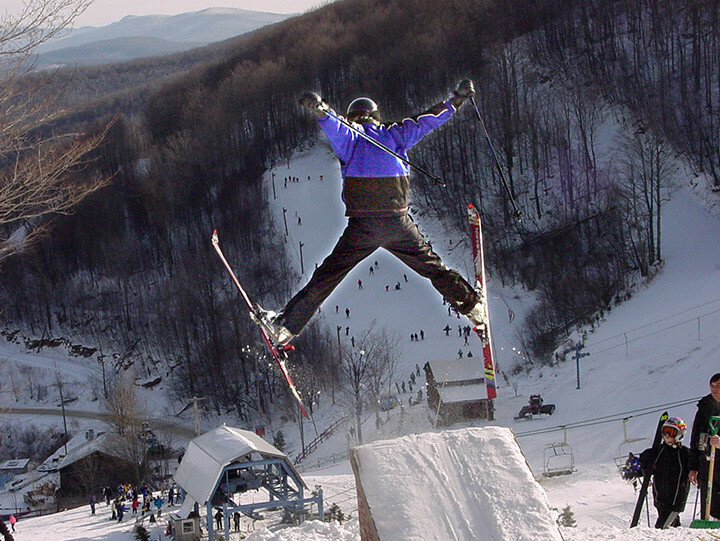 All of you double black diamond skiers/boarders can head for Plattekill Mountain next time you want a challenge. Twenty percent of the mountain is dedicated to experts, with 20 percent earmarked advanced, 40 percent intermediate, and 20 percent beginner. It has a vertical drop of 1,100 feet and snowmaking covers 75 percent of its skiable terrain. The resort has a "natural terrain park" nestled in the woods between the Lower Face and Shredded Mozzarella trails. There are 35 trails and three lifts on 75 acres of terrain with a 3,500-foot summit elevation and 1,100-foot vertical drop. Base lodge offers all the amenities including a full rental shop, ski school, and National Ski Patrol.